We are the local car removalist and try to get you better experience rather than others. Visit us for any scrap vehicles, car, van, trucks, jeeps and other for same day cash. Remove the Damaged Cars from Your Yard Easily with Ipswich Car Removals. If you are ignoring the importance of the old car in your yard considering it as garbage then here we present the best option for you to get the most out of your old and wrecked cars. At Car Wreckers Ipswich, we buy all types of old, scraped, and accidental cars from our customers. So, if you want to remove the all the old and scrapped cars from your yard then we are right here to provide you with all the assistance you need. We also buy the used the parts of all kinds of vehicles such as vans, trucks, buses, etc. What’s more, you can also earn some amount of money by selling your damaged cars and its parts to us. You may have never imagined making money out of your old and damaged parts of your old and scrapped cars. But, we are presenting the best opportunity to help you earn money from your old and used parts of your vehicle. We are one of the renowned and established companies for car removals in Ipswich. We possess 20 years of experience in dealing with these types of old and damaged cars and vehicles. So, we can assure you that you will also get the best price for your cars from us. Why Choose Ipswich car Wreckers Over Other Car Removal Companies? There are many car Removal companies in Queensland that provide such car removal services in the local areas. But, once you contact our professionals, you can clearly differentiate our company from those other companies. We provide our customers with a lot more benefits and advantages than the other car Removal companies. As said earlier, we are in this business for more than 20 years. All our staffs are well experienced in handling such tasks with utmost perfection. They will remove your vehicle from your yard without making any kind of damages to your property. If you compare our quotes with the other similar companies, you will clearly see the difference. 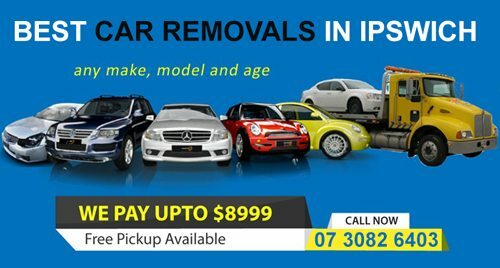 We have made the reputation as one of the best service providers for car removals in Ipswich over the past few years. You can also ask our previous customers for the clarification. It is the main reason why our company has become the first choice for the people who want to get the junk car parts out of their house. Also, we don’t charge any additional price for the car removal. There are no hidden charges whatsoever. The professionals of our company will visit your house and remove the car from your yard after a prior inspection. We pay for Old car removals, used car removals, accidental car removals, junk car removals and scrap car removals. There is no need of any kind of complicated paper works for the completion of car removal process. At Car Removals Ipswich, we always try to provide the best customer service. That is why we have made the process of car removal so easy that anyone can sell their old and damaged cars to us without getting involved in any complicated process. Another reason why Ipswich Car Wreckers has become the primary choice for the people for car removal in Ipswich is that we buy the cars and vehicles of all models. Also, it does not absolutely matter how old your car is, you can easily sell it us without any problem. We will pay you the best price for your car instantly. So, if you also want to through the garbage and junk out of your yard then you can contact us at 07 3082 6403 to get the best value for it. You can contact us through our e-mail. You can also fill the form to get the quote now. So, contact us and experience a smooth and hassle-free car removal.